Fans of the Sword Art Online series have long known the countless possibilities for adventure in various virtual worlds from Aincrad to Gun Gale Online. 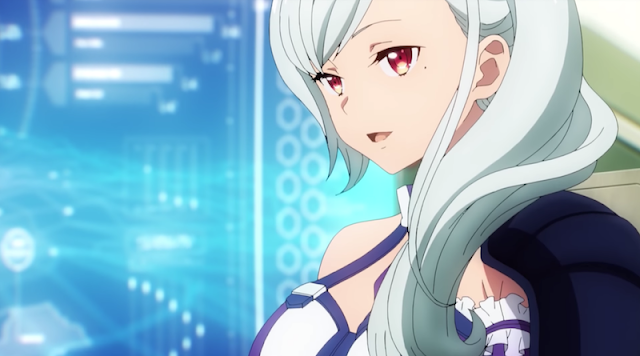 Now, with the impending launch of Sword Art Online: Fatal Bullet’s expansion pack – Dissonance of the Nexus – players will be able to explore a new dungeon, rumored to be haunted by the ghost of Sachi. Along with this new dungeon, the Dissonance of the Nexus expansion pack will also introduce new characters who will join the cast of Sword Art Online: Fatal Bullet. Players who have not entered the virtual world of Sword Art Online: Fatal Bullet and are looking for a way to catch up with the entire adventure will be able to do so in one fell swoop by purchasing the Sword Art Online: Fatal Bullet Complete Edition. The Complete Edition will include the main game, all previously released DLC content, and the Dissonance of the Nexus expansion, all packed in one neat package. The Dissonance of the Nexus expansion pack and Sword Art Online: Fatal Bullet Complete Edition will both be available in the Americas on January 18, 2019 for the PlayStation®4, Xbox One, and PCs via STEAM®. Lastly, Sword Art Online: Hollow Realization will be released summer 2019 for Nintendo Switch with Sword Art Online: Fatal Bullet Complete Edition for Nintendo Switch releasing at a later date.